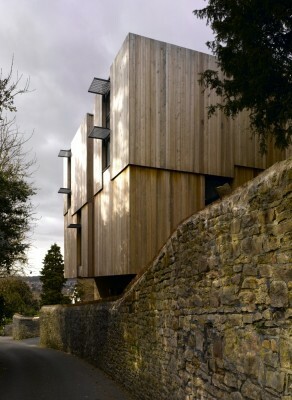 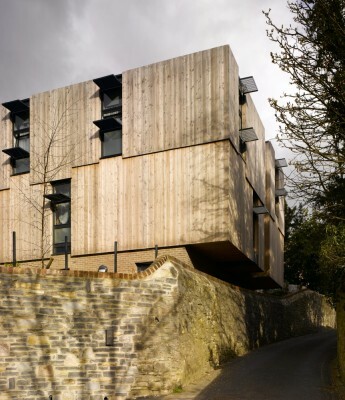 A Mitchell Taylor Workshop project for Badminton School in a conservation area on the Clifton Downs in Bristol. 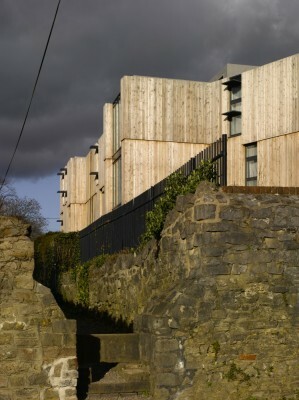 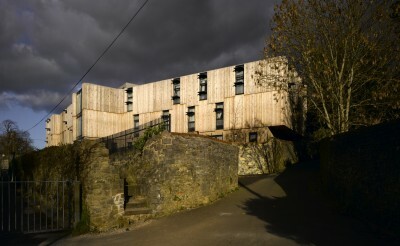 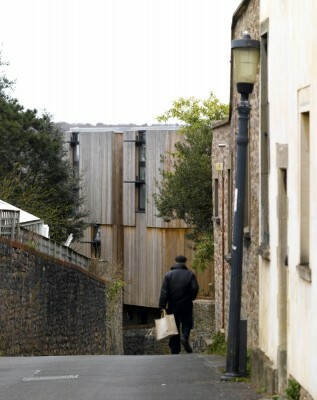 It is a 90 bed boarding house which has an implicit environmental objective. 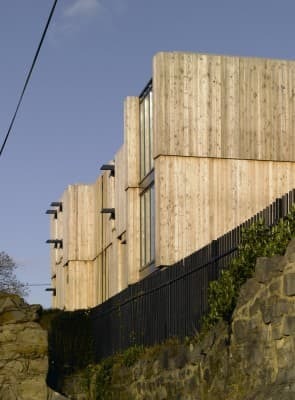 It is heated and powered by a combined heat and power plant, super insulated, with clear natural ventilation paths across exposed thermal mass, and shading to avoid overheating. 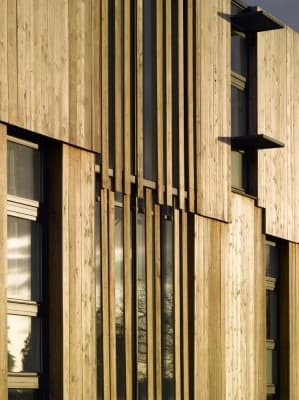 It is clad entirely in untreated Siberian Larch and has an (invisible) green roof to create habitats in an urban context.